by Karen Thompson, University Teacher. 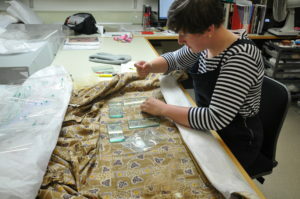 Summer is a very busy time for the MPhil Textile Conservation students. Whilst many students are enjoying a long vacation, ours are engaged in writing dissertations or work placements. 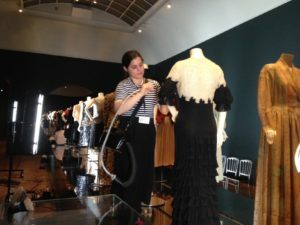 A key component of the first year of the programme is to undertake a work placement in a museum or other heritage organisation in the UK or overseas. 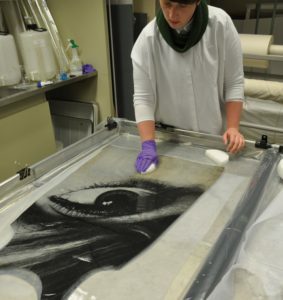 The students spend at least six weeks working alongside a textile conservator as well as other members of the organisation. 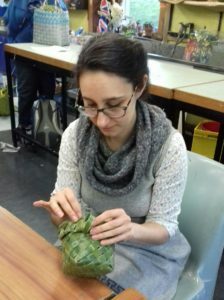 The placement provides an extended period of practical work that enables the students to put into practice what they have been learning in their first year in a real life situation, as well as the invaluable opportunity to gain experience of the way textile conservation departments operate within different institutions. 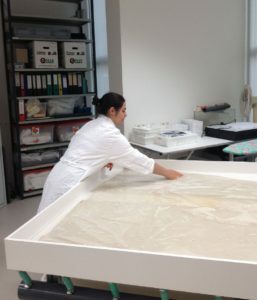 The opportunity to be able to offer the students placements is down to the generosity of the placement hosts who are keen to be involved in the training of future conservators. It is a real strength of the conservation and museum sector that they are keen to support the development of new professionals. It is not just a one way process. The placement hosts often comment how good it is to get an injection of new ideas as well as an additional member of their team. Once again our students are working across the world. 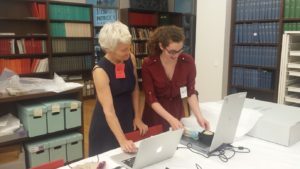 In London: at the Victoria and Albert Museum, Museum of London, British Library and the British Museum, and overseas at Artlab Australia (Adelaide), Rijksmuseum (Amsterdam), Philadelphia Museum of Art (USA) and Museum of New Zealand Te Papa Tongarewa (New Zealand). 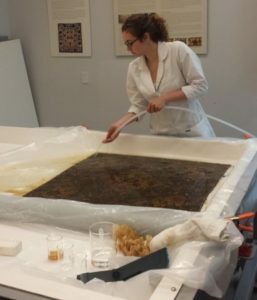 On their return, the students share their experiences with their peers and staff of the University as well as the Textile Conservation Foundation and funders, which is great for us to gain further insight into the work of these wonderful institutions. It is a fantastic opportunity for the students to develop and grow. 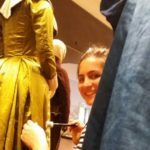 I am sure that when they come back from their placements they stand physically taller; more confident and inspired by their experiences which form a key part in their journey to develop as a professional conservator. I would like to take this opportunity to thank the placement hosts for their support for this year, previous years and the promise of opportunities for next year’s students. 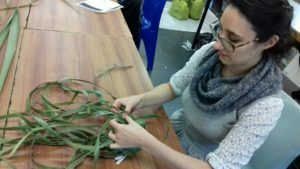 A short film about a project with which Bevan O’Daly was involved on her placement can be seen on Youtube. Beth Knight at Philadephia Museum of Art. Watch this space for more about Beth’s placement.